Jeffrey Scott Buckley (November 17, 1966 - May 29, 1997) was an American singer and guitarist whose unique voice, spanning four octaves, launched him to semi-celebrity. He played with experimental guitarist Gary Lucas in his band Gods and Monsters. In 1994, Buckley released his first album Grace, composed of ten tracks. While sales were slow, the album quickly received critical acclaim and appreciation from other musicians (among them Jimmy Page, Robert Plant, Bob Dylan and Paul McCartney). 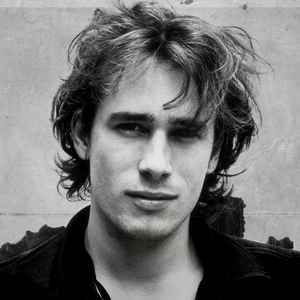 Just before recordings began for his second album which was to be called My Sweetheart the Drunk, Jeff Buckley drowned in the Wolf River, Memphis, Tennessee, on May 29th, 1997, aged 30. After Buckley's death some of the demo recordings for his second album were released on Sketches for My Sweetheart the Drunk. Three other albums composed of live recordings have also been released, along with a live DVD of a performance in Chicago. Jeff Buckley's father was the musician Tim Buckley, who released a series of highly acclaimed folk and jazz albums in the late 1960s and early 1970s before his own untimely death in 1975.